Nitroaromatic compounds are organic molecules that contain at least one nitro group (NO2) attached to an aromatic ring (1). Their occurrence as a natural product is rare and it has been established that fungi, bacteria and plants synthesize certain nitroaromatics, including chloramphenicol. This antibiotic is produced by Streptomyces bacteria. The vast majority of nitroaromatic compounds is, however, chemically synthesized and these are currently one of the most industrially important group of chemicals (1). Notable examples include antibiotics such as nitrofurazone, anticancer prodrugs like CB1954 and explosives e.g. trinitrotoluene (figure 1). Nitroaromatics are mainly obtained through nitration in a two-step process. First, nitronium ions (NO2+) are produced in a reaction of sulfuric and nitric acid. These are added next onto aromatic substrates via electrophilic substitution (1). In this way nitrobenzene, nitrotoluene and nitrophenol can be generated. Nitroaromatics are highly toxic and mutagenic and many are suspected carcinogens. Their toxicity is directly linked to the products formed (hydroxylamino derivatives) during their metabolism (1). These interact with DNA, proteins and lipids, causing harmful and mutagenic effects. Yet, despite their toxicity some microorganisms have evolved the ability to degrade or transform nitroaromatic compounds (1,2). For example, microbes employ oxidative and reductive pathways for the metabolization of these compounds. The oxidative transformation of nitroaromatics occurs aerobically, while their reductive breakdown takes place in the presence or absence of oxygen. The reduction of nitroaromatic compounds can be accomplished either through reduction of the aromatic ring or nitro group. Aromatic ring reduction is catalyzed by hydride transferases often in combination with other enzymes such as hydrolases (2). While reduction of the nitro group requires addition of electrons, which is catalyzed by nitroreductases (2). The enzymes are widely distributed throughout bacteria, although nitroreductase-like enzymes are also present in archaea and eukaryotes. Two classes of bacterial nitroreductases are known based on their catalytic mechanism and response to oxygen. Type 2 enzymes are oxygen-sensitive and employ a single electron mechanism for nitro group reduction, resulting in the formation of a nitro anion radical. In the presence of oxygen, this radical is reoxidized to the starting compound, while under anaerobic conditions it is reduced further. On the other hand, type 1 nitroreductases catalyze reduction of the nitro group through step-wise addition of 4 electrons and are in general insensitive towards oxygen (2). 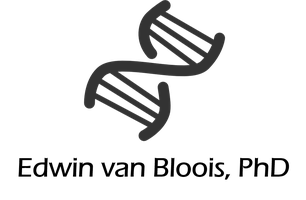 This results in DNA damaging and mutagenic hydroxyl amino derivatives. Oxygen-insensitive nitroreductases are homodimeric proteins that contain FMN and require NADPH or NADH as electron source. Despite their widespread occurrence in bacterial proteomes, the physiological role of nitroreductases is not well understood, although it is generally assumed that they play a key role in detoxification (2). These enzymes are, moreover, of considerable biotechnological and clinical importance as illustrated by their use in bioremediation, biocatalysis or as activator of anticancer prodrugs (2). Here, I will discuss biochemical and structural features of bacterial nitroreductases. Functional nitro groups are characterized by their strong electron withdrawing nature as well as their explosive properties. Consequently, nitroaromatics are often employed as high energy explosives such as TNT and picric acid (figure 2 adapted from 2). Moreover, nitroaromatic compounds also serve as precursors for other important chemicals e.g. pesticides. Whereas many important pharmaceuticals are also derived of nitroaromatics including antibiotics such as nitrofurazone and metronidazole as well as anticancer prodrugs like CB1954 (figure 2), antipsychotics (phenothiazines) and local anesthetics (lidocaine). It is therefore not surprising that nitroaromatic compounds represent an important class of industrially relevant chemicals (1). Nitroaromatics are mainly obtained synthetically through nitration in a two-step reaction. First, nitronium ions (NO2+) are produced in a reaction of sulfuric and nitric acid. These are added next onto aromatic substrates via electrophilic substitution (1). In this way nitrobenzene, nitrotoluene and nitrophenol can be generated, which, in turn, serve as building blocks for other nitroaromatic compounds (1). Although most nitroaromatic compounds are chemically produced, they have also been found in certain bacteria, fungi and plants. With regards to the latter, Streptomyces bacteria are of particular interest because they are established producers of naturally occurring nitroaromatics including the antibiotic chloramphenicol (figure 2) as well as some polyketides and siderophores (1). Most nitroaromatic compounds are toxic and mutagenic for living organisms, while many are suspected carcinogens (1,3). The metabolism of nitroaromatics typically yields hydroxylamino derivatives. These are highly reactive and interact with DNA, proteins and lipids, thereby causing harmful and mutagenic effects (3). Despite their toxicity some microorganisms have evolved the ability to degrade or transform nitroaromatic compounds (2). The primary enzymes responsible for the metabolization of nitroaromatic compounds will be addressed in the following sections. Microorganisms have evolved different ways of breaking down nitroaromatic compounds. For example, some bacteria employ oxidative catabolic pathways for this purpose in which the initial steps are catalyzed by dioxygenase enzymes (4). Whereas other bacteria utilize a reductive pathway for the transformation of nitroaromatics (2). The oxidative conversion of these compounds occurs under aerobic conditions, while their reductive catabolism is oxygen-independent and proceeds either via reduction of the aromatic ring or via nitro group reduction. Reduction of the aromatic ring is accomplished by addition of hydride ions, which is catalyzed by hydride transferases. Other enzymes such as hydrolases are required to complete this degradative pathway. Reduction of the nitro group is catalyzed by nitroreductases through sequential addition of electrons (2). These enzymes are widely distributed throughout bacteria, although nitroreductase-like enzymes are also present in archaea and eukaryotes. Two distinct classes of bacterial nitroreductases have been identified which differ in their catalytic mechanism and response to oxygen (figure 3 adapted from 2). Oxygen-sensitive (type 2) nitroreductases catalyze the single electron reduction of the nitro group. This proceeds via a nitro anion radical, which can be reoxidized to the starting compound by molecular oxygen, yielding the superoxide anion. Under anaerobic conditions, however, the nitro anion radical is reduced further. Oxygen-insensitive (type 1) enzymes catalyze the reduction of the nitro group through step-wise addition of electrons from NAD(P)H. This typically yields DNA damaging and mutagenic hydroxyl amino derivatives (3). Type 1 nitroreductases are flavoenzymes that can be further subdivided according to their coenzyme preference into group A and group B. Nitroreductases of group A are strictly NADPH-dependent, while enzymes of group B use NADPH or NADH . Work on different bacterial nitroreductases has revealed similar biochemical properties. Most of these enzymes are active as a homodimer with a mass of 24 – 30 kDa for each subunit and contain FMN as cofactor. Nitroreductases typically display a broad substrate specificity as evidenced by their ability to catalyze the reduction of structurally diverse aromatic and heterocyclic nitro compounds, including nitrotoluenes, nitrofurans and nitroimidazoles (1,2). Although these enzymes are widely distributed among bacteria, the physiological role of nitroreductases is not well understood. It is generally assumed, however, that they play a key role in detoxification (2). Currently, the protein data bank contains the structures of more than 80 bacterial nitroreductases. Many of these have been solved by different consortia such as Joint Centre for Structural Genomics and Center for Structural Genomics of Infectious Diseases. Unfortunately, these structures are deposited without scientific publication in which they are explained. However, this vast amount of structural information shows that despite poor sequence conservation, nitroreductases exhibit a similar overall structure (2). Specifically, these are globular proteins with conserved domains for binding of FMN, nicotinamide cofactors as well as nitroaromatic substrates. 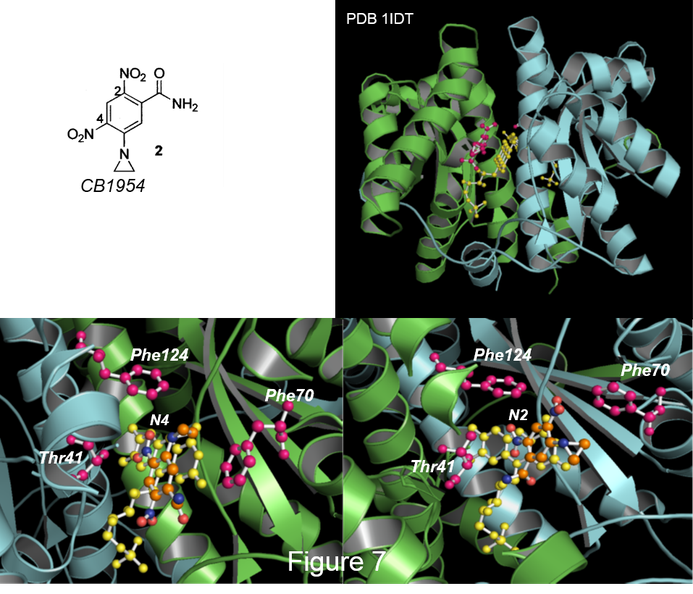 For example, the structure of the main nitroreductase from Enterobacter cloacae was recently solved together with FMN and its substrate (p-nitrobenzoic acid) at 1.9 Å (5). p-nitrobenzoic acid is a poor substrate and can therefore be easily cocrystallized with the enzyme. 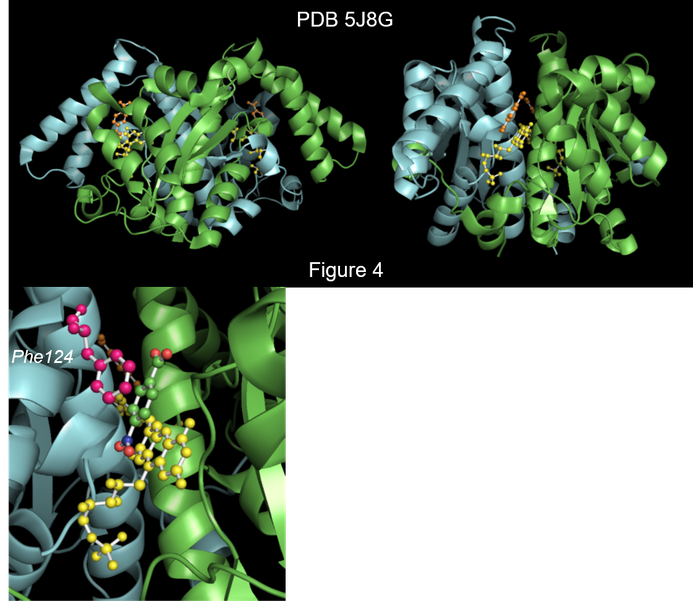 This structure is shown in figure 4 and reveals that the enzyme is active as a homodimer (monomer A is in blue and B in green) and adopts an overall structure which is similar to that of other bacterial nitroreductases (upper panel). Each subunit comprises an α and β-domain with the central core of the β-domain made up of five β strands, which are surrounded by the eight helices of the α-domain. An active site with FMN and substrate is present in each monomer. The FMN (in yellow ball and sticks) and p-nitrobenzoic acid (in orange ball and sticks) are located in deep clefts at the dimer interface. A detailed view of the active site with FMN and p-nitrobenzoic acid is shown in the bottom panel of figure 4. FMN is colored as indicated above and the substrate is in ball and sticks orientation with coloring based on atoms (carbon in green, nitrogen in blue and oxygen in red). FMN interacts with residues of each subunit: its phosphate moiety is stabilized by residues located on the same monomer, while the residues that bind the isoalloxazine ring and ribityl moiety are found at the dimer interface on both subunits. Binding of p-nitrobenzoic acid occurs through H-bonds and pi stacking above the re face of the flavin (5). Substrate binding is mainly facilitated by aromatic residues, including phenylalanine 124 and 70 (shown in raspberry ball and sticks). Of these, phenylalanine 124 is particular importance as it determines catalytic activity as well as substrate specificity. Likewise, glycine 163, which is highly conserved in nitroreductases, plays a key role in controlling substrate specificity as it may regulate access of substrates into the space over the re face of the flavin. In addition to the structure bound to FMN and p-nitrobenzoic acid, the structure of E. cloacae nitroreductase containing FMN and an NADH analog (NAAD) was also solved at 1.85 Å (5). This structure is presented in figure 5 with monomer A in blue, monomer B in green, FMN in yellow and NAAD in blue. It shows that NAAD is located in the cleft at the dimer interface together with FMN. The nicotinamide ring is placed between phenylalanine 124 and isoaloxazine ring of FMN (2,5). This residue is involved in stabilizing the NADH analog through interacting with the nicotinamide ring (5). A few other aromatic residues, including phenylalanine 70, are not directly involved in nicotinamide-binding but ensure a proper shape of the NADH-binding pocket (5). The sugars and phosphate moieties of NAAD are bound in a small groove at the solvent-exposed surface of subunit A, consistent with their hydrophilic nature. The negatively charged phosphates are stabilized through interactions with lysine 14 and 74. Both residues are conserved in nitroreductases. 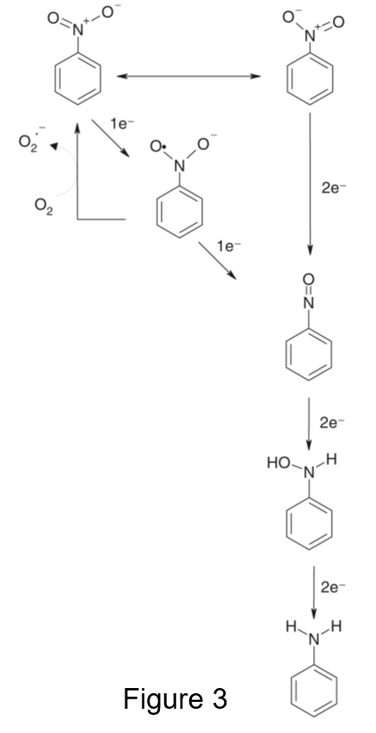 It has been established that oxygen-insensitive nitroreductases catalyze nitro group reduction via two consecutive electron-donating steps (figure 3). Through this mechanism, these enzymes are able to convert structurally diverse aromatic and heterocyclic nitro compounds, including nitrotoluenes, nitrofurans and nitroimidazoles (1,2). Structurally, the broad substrate spectrum of nitrodreductases is explained by the small number of interactions between the substrate and enzyme as well as the flexibility of the loop that contains phenylalanine 124. During the start of the catalytic cycle, a pair of electrons are transferred from NAD(P)H to FMN. Subsequently, the substrate enters the active site and is reduced to the hydroxylamino derivative via the unstable nitroso intermediate. The available structural information shows that reactions must occur at the re face of FMN as the si face is blocked by protein (see for example figure 4). Most, if not all, nitroreductase structures containing substrate represent the enzyme in the oxidized state because the substrate would be readily converted with the enzyme in the reduced form. Remarkably, evidence has been presented indicating that in the oxidized enzyme substrates bind differently when compared to the reduced enzyme. This suggests that nitroreductases are able to accommodate multiple binding modes (2). In the reduced enzyme the nitro group is closest to N5 of the flavin ring, which comprises the business end of FMN. The close vicinity of the nitro group and FMN’s N5 in the reduced enzyme is consistent with this being its catalytically competent state (figure 6). Based on the recently published structures of E. cloacae nitroreductase, a mechanism for nitro group reduction was proposed that involves a proton donated by solvent (5). The broad substrate specificity of bacterial nitroreductases is exploited in different therapeutic applications such as antibody-directed enzyme prodrug therapy, or gene-directed enzyme prodrug therapy. This is a promising approach for locally combatting tumors in which an oxygen-insensitive nitroreductase or its gene is targeted to tumor cells through an antibody-based or viral delivery system. At the site of action, the enzyme converts a non-toxic nitroaromatic compound (prodrug) into products that display potent antitumor activity. The E. coli NfsB nitroreductase is the most used enzyme for these applications because it is able to convert different nitroaromatic-based prodrugs e.g. CB1954. This antitumor prodrug is currently evaluated in clinical trials (REF). Several structures of NfsB bound to FMN and different prodrugs have been solved. These include NfsB with CB1954 at 2 Å (7), which is shown in figure 7. CB1954 is presented in the upper left panel and this aromatic compound contains two nitro groups at the 2 and 4 position, respectively. It has been established that CB1954 generates a hydroxylamine derivative with antitumor activity following reduction of the 4 nitro group. The overall structure of NfsB with FMN (in yellow ball and sticks) and CB1954 (in red ball and sticks) is detailed in the upper right panel. Similar to other bacterial nitroreductases NfsB is a homodimeric enzyme with each subunit folded into an α and β-domain. The core of the β-domain comprises five β strands, which are surrounded by the eight helices of the α-domain. The active site of each monomer contains FMN and CB1954 located in a cleft at the subunit interface. A close-up of both active sites is shown in the bottom panels of figure 7 with FMN in yellow ball and sticks and CB1954 in ball and sticks orientation with coloring based on atoms (carbon in orange, nitrogen in blue and oxygen in red). As observed in other structures, the substrate makes limited contacts with the enzyme and is mainly stabilized by pi stacking and H bonds. However, threonine 41 directly interacts with one of the nitro groups whereas phenylalanine 124 and 70 stabilize the three-membered heterocycle (aziridine ring). These residues are shown in red ball and sticks. Interestingly, the CB1954 molecules in the active sites are in different orientations. In active site A (bottom right) the substrate is oriented in such a way that the 2 nitrogroup is closest to N5 of FMN, while in active site B (bottom left) CB1954 is bound such that the 4 nitrogroup is in close vicinity to N5 of the flavin ring. This explains why reduction of the 2 nitrogroup yields the less cytotoxic 2-hydroxylamine derivative in contrast to reduction of the 4 nitrogroup, which generates a lethal, DNA-crosslinking hydroxylamine derivative. Only a few nitroaromatic compounds occur as natural products with the antibiotic chloramphenicol probably as best example. A subset of fungi, bacteria and plants have been identified as natural producers of these compounds. In this respect, Streptomyces bacteria are of particular interest because they are established producers of naturally occurring nitroaromatics, including different antibiotics. 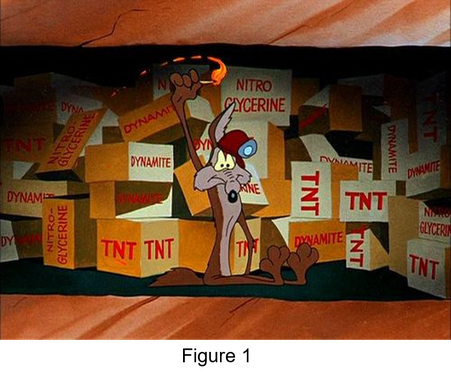 However, the vast majority of nitroaromatics is chemically synthesized and they represent an important class of industrially relevant chemicals (1). Notable examples include antibiotics such as nitrofurazone, anticancer prodrugs like CB1954 and explosives e.g. trinitrotoluene. Most of these compounds are toxic and mutagenic for living organisms, while many are suspected carcinogens (3). Moreover, nitroaromatics are highly stable and difficult to degrade, although certain microorganisms have evolved the ability to degrade or transform nitroaromatics (2). This can be achieved through different pathways: some bacteria employ oxidative catabolic pathways for this purpose in which the initial steps are catalyzed by dioxygenase enzymes (4). Whereas other bacteria utilize a reductive pathway for the transformation of nitroaromatic compounds (2). The reductive catabolism of nitroaromatics is catalyzed mainly by bacterial nitroreductases belonging to the oxygen-insensitive class. These are homodimeric enzymes that contain FMN and require NADPH or NADH as electron source. Nitroreductases catalyze nitro group reduction via two consecutive electron-donating steps (figure 3). Through this mechanism, these enzymes are able to convert structurally diverse aromatic and heterocyclic nitro compounds, including nitrotoluenes, nitrofurans and nitroimidazoles (1,2). Despite their widespread occurrence in bacterial proteomes, the physiological role of nitroreductases is unclear. It is unlikely, however, that non-natural nitroaromatics are their native substrates, although it is conceivable that nitroreductases play a key role in detoxification similar to F420-dependent reductases. Owing to their broad substrate specificity, these enzymes have emerged as powerful tools in biotechnology and clinical practice as illustrated by their use in bioremediation, biocatalysis or as activator of anticancer prodrugs. 1. Ju KS, Parales RE. 2010. 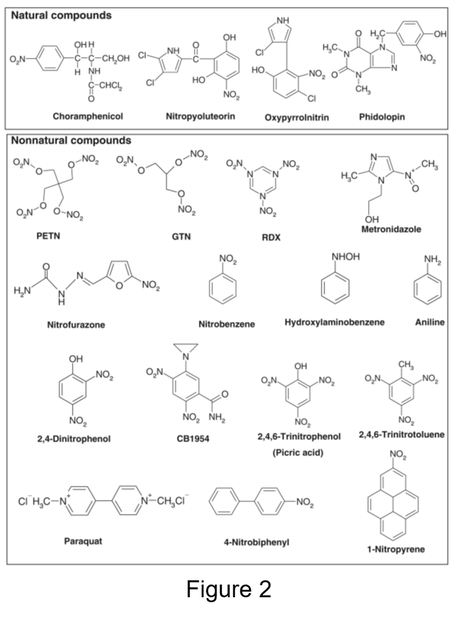 Nitroaromatic compounds, from synthesis to biodegradation. Microbiol Mol Biol Rev. 74: 250-272. 2. Roldán MD, Pérez-Reinado E, Castillo F, Moreno-Vivián C. 2008. Reduction of polynitroaromatic compounds: the bacterial nitroreductases. FEMS Microbiol Rev. 32: 474-500. 3. Kovacic P, Somanathan R. 2014. Nitroaromatic compounds: Environmental toxicity, carcinogenicity, mutagenicity, therapy and mechanism. J Appl Toxicol. 34: 810-24. 4. Spain JC. 1995. Biodegradation of nitroaromatic compounds. Annu Rev Microbiol. 49: 523-555. 5. Pitsawong W, Haynes CA, Koder RL Jr, Rodgers DW, Miller AF. 2017. Mechanism-Informed Refinement Reveals Altered Substrate-Binding Mode for Catalytically Competent Nitroreductase. Structure. 25: 978-987. 6. Williams EM, Little RF, Mowday AM, Rich MH, Chan-Hyams JV, Copp JN, Smaill JB, Patterson AV, Ackerley DF. 2015. Nitroreductase gene-directed enzyme prodrug therapy: insights and advances toward clinical utility. Biochem J. 471: 131-153. 7. Johansson E, Parkinson GN, Denny WA, Neidle S. 2003. Studies on the nitroreductase prodrug-activating system. Crystal structures of complexes with the inhibitor dicoumarol and dinitrobenzamide prodrugs and of the enzyme active form. J Med Chem. 46: 4009-4020.